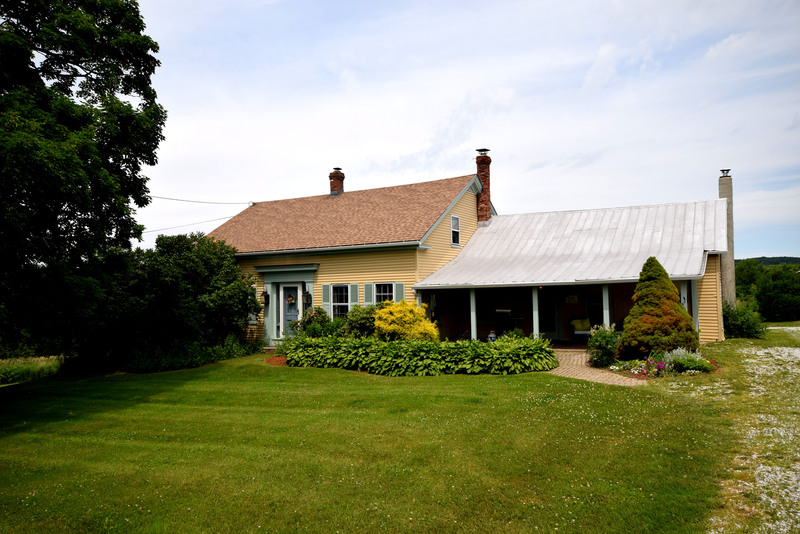 This historic 1816 farmhouse is nestled in a great location on a 1 acre lot with lake and mountain views! Kitchen boasts center island with blue granite countertop, cherry cabinets, pantry, and gas range. This leads out to a family room with pellet stove, cathedral ceiling, and door to the mudroom. Hardwood floors carry you through the home and through the huge formal dining room that creates so many options to entertain. Large study creates the perfect place to work from home. Cozy living room with classic french doors overlooks the private backyard and wonderful deck. A first floor bedroom and full bath round out the lower level. The master boasts views of the lake, a walk-in closet, and plenty of daylight. Updated bath with beautiful vanity and skylight. This level also has an additional bedroom, exercise room and loft that overlooks your family space. Outside is a shed, relaxing deck, mature landscaping, and covered patio! Easy access to I-89 and just 15 minutes to St. Albans!